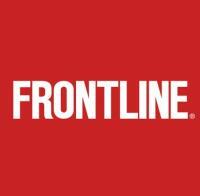 The influential PBS documentary program Frontline recently turned its attention to Latino workers from Central America allegedly employed by a large Midwest egg production company. The tone of the presentation was directed against current immigration policy and specifically failure by the Government to supervise “sponsors”. The Department of Health and Human Services is responsible for the wellbeing of migrant minors but apparently has abrogated its responsibility to middlemen. The system of subcontractors is iniquitous and an alternative approach must be developed which conforms to the standards and expectations of an advanced economy. Housing conditions for migrant workers must be improved if facilities fall below acceptable codes. Hours of work and conditions are acceptable on most farms, but if deviations from standards occur those responsible should be punished and corrective action implemented. Given that U.S. citizens in the low-income demographic are disinclined to undertake agricultural work, the proposed H2-C visas to be administered by the Department of Agriculture are needed to maintain productivity for fruit, produce and livestock production and processing.